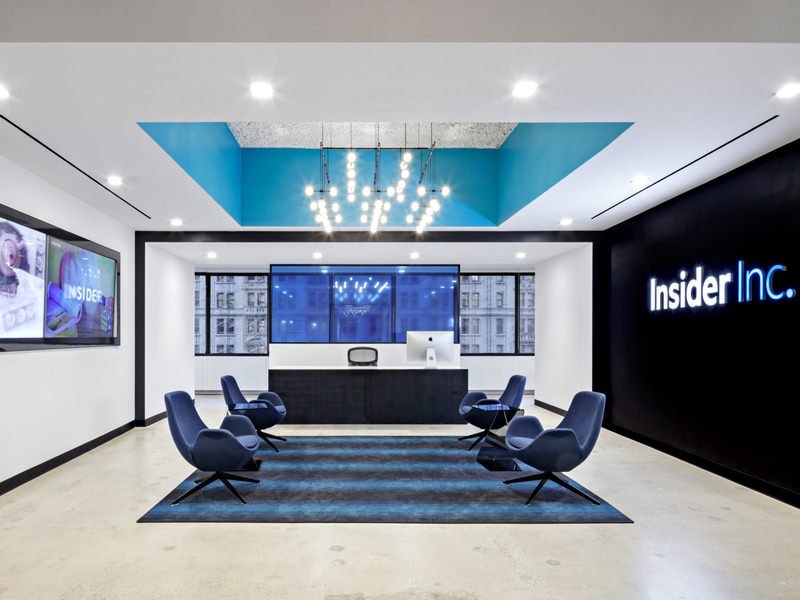 Spector GroupThe vision for Insider Inc. is sustainable, impactful journalism, at scale, for the digital era. Today, Nicholas Carlson, the global editor in chief of Business Insider and Insider, sent the following note to the company’s staff. But it’s really no surprise our numbers are so high. We’re doing some incredible reporting and storytelling. Every day seems to bring a new Tesla and MoviePass scoop. We have a massive hit Facebook show, “Travel Dares.” Our new podcast, “Household Name,” is a hit with audiences and critics. I’m emailing you because I made some big announcements at our newsroom meeting on Tuesday, and I wanted to send around a recap. We are moving some teams from the Business Insider editorial team on to the INSIDER editorial team.Specifically, BI’s politics, news, and military-defence teams are officially joining the INSIDER newsroom. Here’s a bit of context. In 2015, we decided that we wanted to keep investing in journalism beyond our core business coverage. We wanted to do this without diluting the Business Insider brand. So we launched INSIDER. We wanted INSIDER to eventually cover everything from news to sports, politics to science, celebrity to style, and so on. But we decided to start with just a few lifestyle topics because it would be too hard to do everything at once with such a small team. Today, I’m happy to report that audience engagement with INSIDER is huge, and early experiments with increasing its breadth of coverage beyond just lifestyle have yielded only more audience attention. INSIDER’s success has helped to make the entire company financially healthy. As Henry Blodget mentioned in a note last month, we are growing revenue rapidly and turned profitable ahead of schedule in the first half of this year – an extraordinary accomplishment in the current environment. So it’s time for INSIDER to take the next step toward becoming the giant, and influential, general-interest publication we want it to be. That’s why BI’s politics, news, and mil-def teams are officially joining the INSIDER newsroom. Brett LoGiurato will now report to Julie Zeveloff West. His new title is executive editor, INSIDER. Pam will be responsible for INSIDER’s global news coverage. That means that in addition to her current teams she will also be working closely with news editors Julie Gerstein and Rebecca Harrington in New York; Kieran Corcoran in London; Bryan Logan in Los Angeles; and our news team in Australia. You all should be very proud of what Business Insider is today: the most read business news site in the world. But we’re not done yet. We also want to be the world’s very best, and best-loved, source of business journalism. An admittedly ambitious goal. When the business leaders of today and tomorrow get push alerts that matter, they will be from Business Insider. When those leaders wake up and seek out what they need to know for the day, they will grab their phone and load our homepage. When a CEO needs to explain a controversial merger, she’ll go on our news shows. Employees at every company that people care about will read us because we will tell them what management is doing before – and better than – management can. Investors will read us for the same reason. And the customers and clients of those companies will too. Smart, ambitious people around the world will read us, watch us, and listen to us for another very important reason: to learn how to succeed. At work. At home. For their companies. For themselves. And they will also read us to learn about what to do with their money … which watch to buy, or laptop to buy, or house to buy, or vacation to go on. US editor in chief Alyson Shontell, executive editor Matt Turner, and UK editor in chief Jim Edwards have a plan to hire dozens of people across teams including (but not limited to!) features and investigations, copyediting, investing, personal finance, careers, executive lifestyle, finance, markets, retail, Hollywood, media, autos, airlines, industrials, big agriculture, and enterprise tech. Two of my biggest inspirations have been Time and The Washington Post because both started in much weaker positions than we are in now and have become towering institutions. Time was started by two Yale grads in their early 1920s. The company almost died several times. For a while it had to move to Ohio to reduce costs. Later, a cofounder died. But Time flourished and soon launched Fortune, Life, and Sports Illustrated. The influence and impact of those publications changed history. But when Graham’s father, Eugene Meyer, bought The Post decades before, it was the fourth newspaper out of five in town. The smart set read The Washington Star and the masses read the afternoon papers. The Post struggled for two decades before merging with another newspaper, The Times Herald. Then it was on sound financial footing. But it still wasn’t another 20 years or so before Ben Bradlee became editor and published the stories we’ve heard of today. I also bring up these publications to say that, while the world has many great publications, almost all were built on business models and a way of life that have disappeared. Newsstands are going. TV ratings are dropping. Magazine subscribers are cancelling. Companies that were built on those behaviours are, over the next several decades, going to struggle to survive or maintain the quality of their journalism because they are enterprises built for the 20th century.